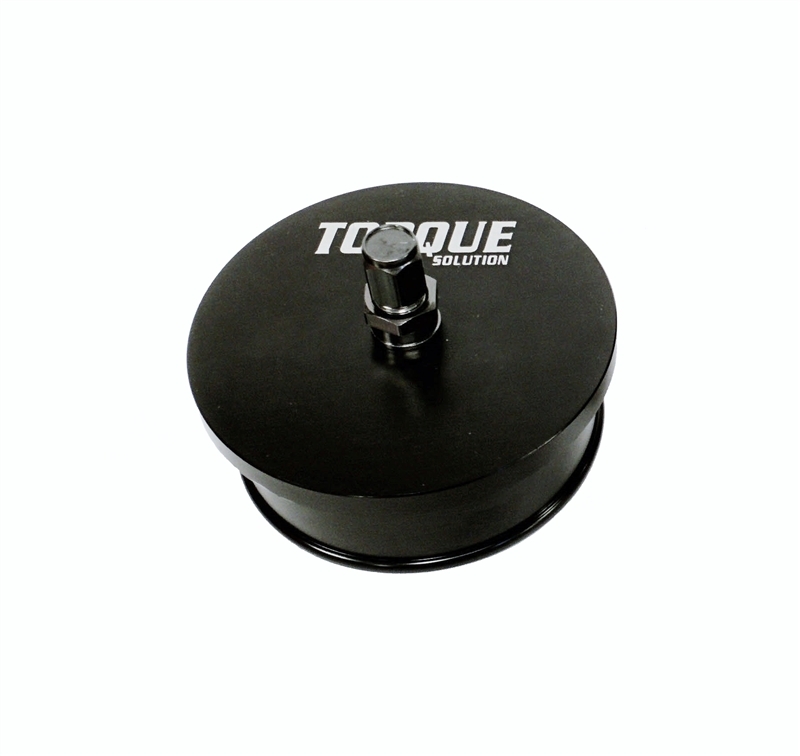 The Torque Solution Boost Leak Tester is machined from billet aluminum and black anodized to look good in any ones tool box. The tester accepts any 3" coupler or coupler reducer. Make sure you're getting 100% performance from your turbo. Boost leaks can overwork and possibly lead to turbo failure. 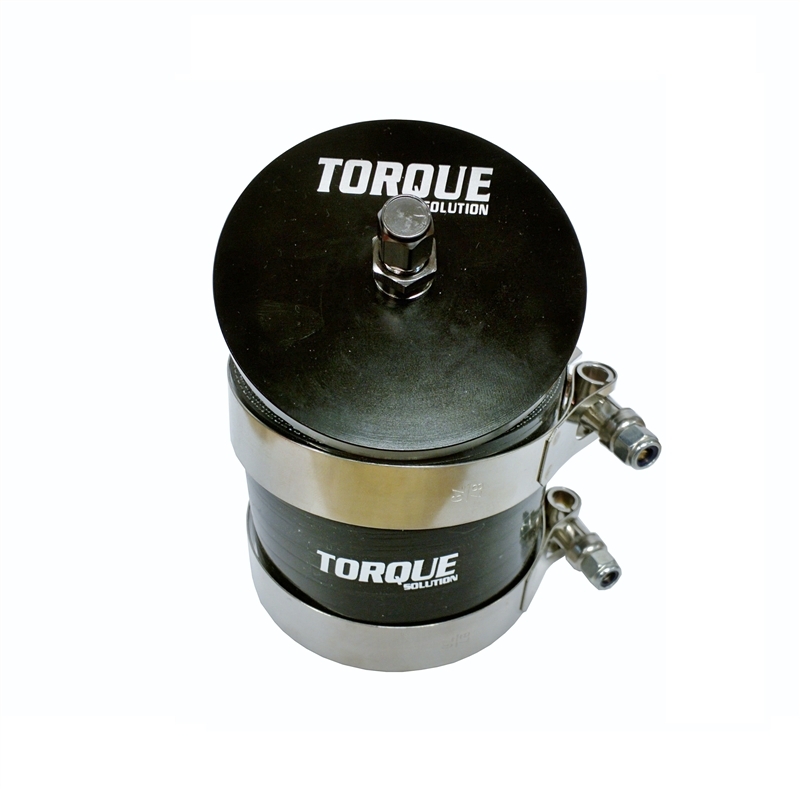 Simply attach our Boost Leak Tester to your turbo inlet with your own supplied coupler or find the perfect match through our available couplers and apply compressed air through the tire valve stem. This will allow you to listen for air leaks or spray soapy water in areas you feel there might be a leak. The soapy water will bubble if there is a leak present.